This presidential book was my first presidential book to read after I challenged myself to read a book on every president. It seemed to be quiet dull at first, but I was able to learn some interesting information about Calvin Coolidge. While this president was in office during the roaring twenties, he contributed to many of the American people’s problems, but he also helped other areas of America. 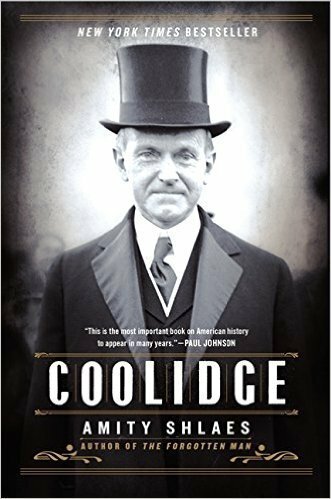 This book discusses very little about Calvin Coolidge’ s childhood, but it does go into great depth of his presidency. I also found it interesting about why Calvin Coolidge decided not to run for a full second term. When this book talks of his political career, there are some interesting topics brought up that I enjoyed reading about.